NEW YORK – If you’ve made changes to how you use social media since Facebook’s Cambridge Analytica privacy debacle, you’re not alone. A new poll from the Associated Press-NORC Center for Public Affairs Research finds that 7 in 10 of online adults who’ve heard of the scandal – revelations that a data mining firm may have accessed the private information of some 87 million Facebook users to influence elections – have unfollowed accounts, deleted their profiles or made other changes in how they use social media. Facebook has said that it hasn’t noticed a meaningful decline in usage since the scandal broke and it doesn’t seem to have experienced much of an advertiser exodus, either. But that doesn’t mean the social media giant is in the clear. Some high-profile tech luminaries such as Elon Musk and Steve Wozniak have disavowed Facebook, and a “DeleteFacebook” online campaign – even if it didn’t lead to mass defections – has bruised the company’s already-battered image. Asked who bears the responsibility to protect people’s online privacy, the poll found that vast majorities of Americans think both social media companies (84 percent) and individual users (72 percent) have a large share. Just short of half – 46 percent – see that as a large responsibility of the federal government. Americans who have taken some action after hearing about Facebook’s recent privacy crisis include 29 percent who have deleted certain social media accounts – the most drastic step. A larger number, 38 percent, uninstalled apps on their phone, while 42 percent said they used certain platforms less often. Nearly half, 47 percent, unfollowed or unfriended certain people, and 41 percent unfollowed groups or organizations. 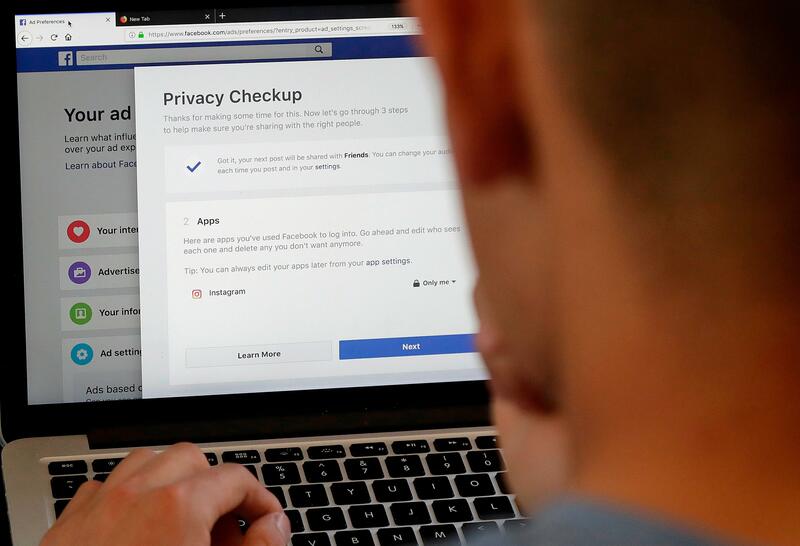 Forty-five percent reviewed or changed their privacy settings – something Facebook encouraged recently by sending a notice to users through their Facebook pages. First, it notified the 87 million people whose information may have been leaked to Cambridge Analytica. This week, it began sending all 2.2 billion Facebook users a more generic notice to review their settings that show what apps have access to their data. The Cambridge Analytica fiasco was not Facebook’s first privacy scandal, though it may have been its worst. The poll also found that Americans have broader concerns about how their data is used by companies like Facebook, Twitter and Google. Sixty percent said they were very or extremely concerned that such companies may not keep their personal information secure, and more than half said they were concerned that the companies might track their data even after they have tried to delete it. African Americans were more likely to express concern about privacy than whites. For example, 72 percent of blacks and 57 percent of whites are worried about companies securing their personal information, while 62 percent of blacks and 44 percent of whites are concerned about companies tracking their location. Published: April 24, 2018, 3:49 p.m. Updated: April 24, 2018, 7:20 p.m.